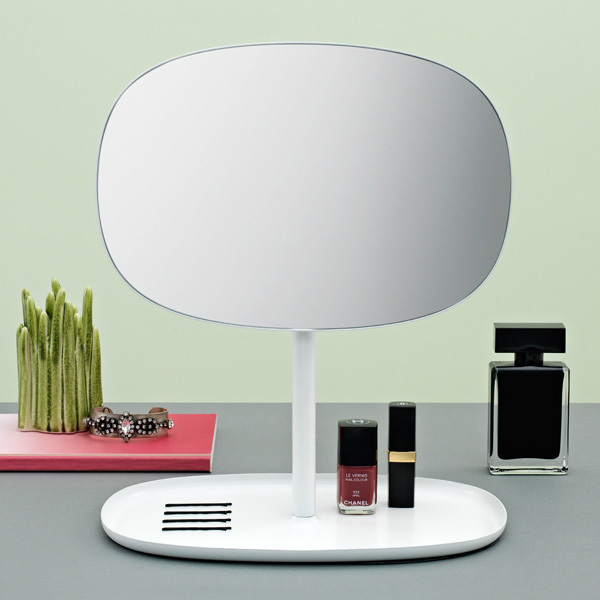 Normann Copenhagen's Flip is a minimalistic table mirror, designed by Javier Moreno Studio. Flip's design was inspired by traditional dressing tables, featuring a mirror and drawers for storing small things. 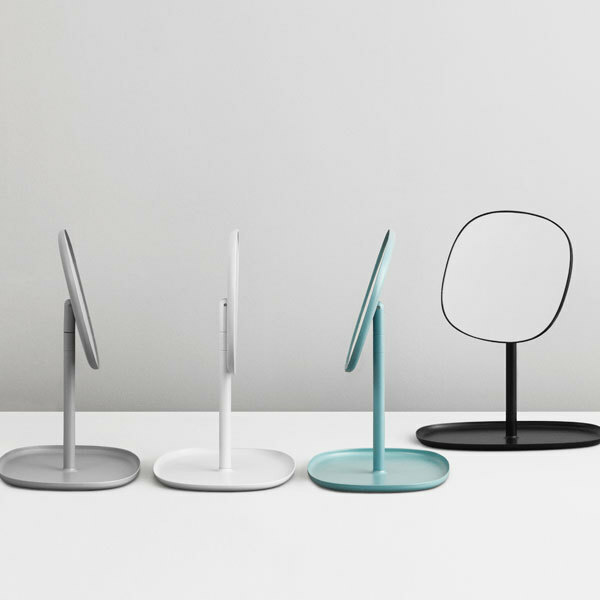 Javier Moreno has commented the design: ”Typically, a mirror has only one function, but I wanted to make a mirror that could offer more. You usually look in the mirror just before leaving the house, so why not let it be there where you keep the last things you use to get ready with, or need to remember just before you go? The Spanish designer Javier Moreno graduated form EASD Alcoi from Alicante Spain in 2005. After graduating he worked as a product and 3D designer at a toy factory. After that, he worked as a product designer and manager at a few companies and did freelance projects.